Our Practice nurse team run minor illness clinics with treatment for sore throat, ear ache, fever, rashes, etc. Our minor injuries clinic is available for post-operative and traumatic wounds, insect bites, stings, head injuries etc. Advice, counselling and methods of contraception including an implant fitting/removal service are provided by appointment. All women should have a smear if aged between 25-49 every 3 years and if between 50-65 years every 5 years. This service is carried out by the practice nurse team. Any patient between the ages of 16 and 74 who has not attended a consultation with the practice in the last 3 years can request a general consultation. Patients over 75 who have not participated in a consultation in the last 12 months can also request a consultation. This can take place in the patient's home if, in the reasonable opinion of the practice to attend the practice premises. This is held every Monday and Friday by appointment. The clinic is run by the Community Midwife. These are recommended for all women between 25 and 64 years but are advisable from age 25 onwards. We recommend that these checks be carried out at three yearly intervals between the ages of 25 - 49 years and five yearly between 50 - 65 years. For older women, advice is available on the menopause and the prevention of osteoporosis (thinning of the bones). These are carried out by the Practice Nurse by appointment and can be given during normal surgery times by arrangement. We offer confidential treatment to all our teenagers including contraceptive advice. 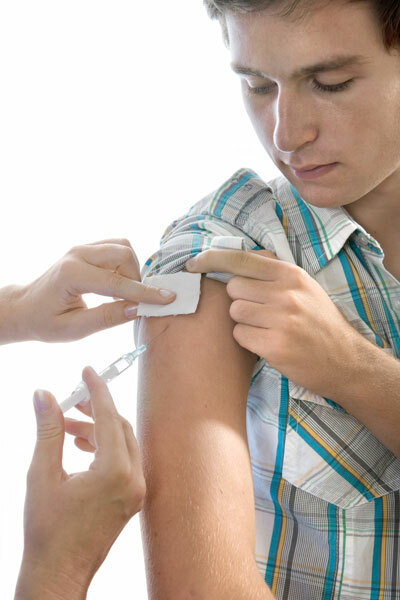 If routine vaccinations and travel immunisations are required, please enquire at Reception. For travel vaccinations you need to complete a 'Travel Vaccination Enquiry' form which is available from the surgery. You will then be advised of the vaccinations you need and an appointment can be made with the practice nurse. Please note some travel immunisations need to be given at least 4 weeks prior to the start of your holiday to be effective. It is advised to arrange your appointment 3 months in advance of your travel to discuss requirements. Our Doctors perform minor surgery in our fully equipped treatment room. This is usually silent and produces no symptoms until a disaster happens. We recommend at least three yearly blood pressure screening, with follow-up if high blood pressure is found. Please make an appointment if required. All men can attend for an annual health check. This includes advice on testicular self-examination, diet, exercise, alcohol intake, blood pressure, urine and weight checks. If you have not had one, please make an appointment. All women can attend for an annual health check. This includes advice on cervical smears, menopausal advice, contraception, diet, exercise, alcohol intake, blood pressure, urine and weight checks. If you have not had one, please make an appointment. We offer this service, ordinarily in the period September - December, for both patients aged 65 and over and patients under 65 who have certain medical conditions. For further information please ask a member of staff. Our Practice Nurses provide Spirometry and reversibility for patients with breathing problems such as asthma or COPD. We will advise you if Spirometry is required when you attend for your annual respiratory check.